At the end of the prosecutionâs case, the Magistrate said there was not enough evidence to make out a prima facie case against Harry. He was then discharged, but was told that he could be re-arrested at a later date. 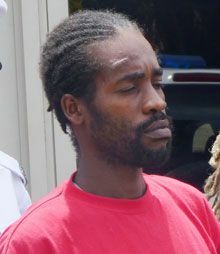 Harry was at the time answering to the murder of Adrian Samuel of Lowmans Windward which took place on Saturday, August 28, 2010. Reports are that at about 5 a.m., Samuel, 54, farmer, was arguing with someone in a bar when another person came up behind him and stabbed him in his back.